Rhubarb is easy to grow and there are so many different ways to use it such as in pies, crumbles and fools.But freshly picked out of garden this is what I most often do with it. I serve it with yoghurt or muesli for breakfast. 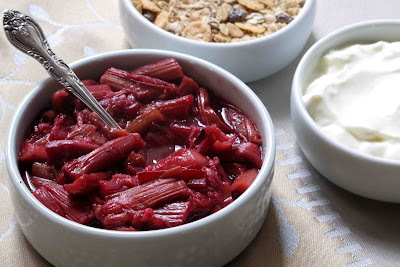 It is a simple recipe but baking the rhubarb intensifies the flavour, the brown sugar adds a caramel taste, and the orange juice and ginger add some zing and spice. Its Matariki time again, the Maori New Year Festival, A great opportunity for all New Zealanders to join in and celebrate. And what better way to do so then by gathering up the whanau for some special kai? This weekend, as winter chills set in, we’re planning a relaxed family evening meal around the fire. We’ll be sure to include some foods which were traditionally grown in tribal gardens. Some months ago some little purple potatoes caught my eye at our local Sunday market. I was told they were called taewa and have been cultivated by Maori for at least 200 years. They may have been a pre European crop, but we know for sure that some varieties of taewa arrived with early explorers, sealers and whalers during the 18th century. They not only became a staple crop for Maori but were widely traded by them. Traditionally they would have been cooked in a hangi, but lacking the necessary manpower to dig a large hole, and a substantial quantity of large stones, it seemed easier to just steam them on the stove. When cooked their insides were yellow and their taste was sweet and nutty, Definitely worth cooking again, but as they are at the height of their season in late summer, they may be more difficult to come by at this time of year. There will be no such supply problem with kumara. The supermarkets always have several varieties of them on sale. This ancient crop was brought here by the early Maori settlers over one thousand years ago from the Pacific. We’ll start the meal with a creamy seafood dip. The kids can help to cut out stars from Edmond’s savoury short crust pastry to use as dippers. The main will be large bowls of kumara and orange soup, laced with coconut cream, coriander and grated orange rind. They will be served with freshly baked crusty bread. Alongside a light salad of mesclun and watercress leaves and sliced oranges dressed with Eta aged balsamic vinaigrette containing the peppery Maori herb horopito. For afters, a festive raspberry tamarillo jelly laced with a little tawny port. It’s easily made the night before. The adults will appreciate a large dollop of mascarpone cheese with it, and the kids – vanilla ice cream. Its dark early now and they’ll still be up when the stars come out, Who knows, we might catch a glimpse of Mother Matariki and her six daughters in the sky! And in the spirit of Matariki we’ll reminisce about times past and look forward to good harvests in the years to come. I can vouch for its deliciousness! The saltiness of the pancetta complements the sweet flavour of the roasted kumara perfectly. 1 heaped teaspoon of coriander seeds. A few slices of pancetta. Take them out of the oven and briefly roast some slices of pancetta until they are crisp. Toast the coriander seeds in a frying pan and then grind them in a spice grinder or with a pestle and mortar. Fry the onions and garlic gently in a frying pan until they are soft. Do not let them brown. Add the coriander and continue to fry briefly. Next add the roasted kumara, potatoes and stock. Bring the mixture to the boil and simmer for 10 minutes. By this stage the kumara and potato pieces should be tender. Blend the soup with a stick mixer until it is smooth. Stir in the coconut cream and orange rind. Reheat the soup, but do not let it boil as the mixture may separate. Season to taste and serve garnished with roasted pancetta and some crusty bread alongside. Immerse the tamarillos briefly in boiling water. The skins can easily be peeled off after this. Cut the tamarillos into quarters and place in a bowl with the brown sugar, cinnamon sticks and tawny port. Leave them to marinade in this mixture for about 1 hour. Make up the jelly with 1 cup of water. Pour this over the tamarillos. Either ladle into individual bowls, or leave it in one large serving dish. Glass will show off their rich red colour. Serve with a dollop of mascarpone cream and/or a scoop of vanilla ice cream. I’ve been playing with Barker's Lemon and Passionfruit Patisserie Filling all week. A new product like this can easily set your creative juices flowing. It comes in a diamond shaped piping bag. It will keep for months in the pantry, and for a couple of weeks in the fridge once opened. This makes it a really useful standby if you want to create some easy desserts. Spoon into 8 tiny ramekins or glasses. Serve with a tropical fruit platter (slices of mango, oranges and bananas) . The recipe I created for a lemon and passionfruit semifreddo is light and luscious. Although it tastes rich and creamy it is comparatively low in calories as it contains more yoghurt than cream. A semifreddo is made with egg yolks and is a soft setting ice-cream for which you don't need an ice-cream maker. Simply spoon it into small ramekins or bowls and put them in the freezer for about five hours before serving. Be careful to ensure that the water is kept at simmering point rather than a rolling boil and that the bottom of the basin rests above the water level in the saucepan as you beat the egg yolks and sugar. Otherwise the mixture can seize up. For this part of the recipe I like to use a hand held balloon whisk. A few drops of pure vanilla essence. Part fill a saucepan of water and bring the water to the boil. In a heat proof bowl mix the egg yolks and sugar. Keep the water simmering while resting the bowl over the saucepan. Add the honey and continue to beat for a further minute. Take of the heat and leave until lukewarm. Fold in the yoghurt and vanilla essence. Beat the cream until it forms stiff peaks. Lightly mix a few tablespoons of the whipped cream into the mixture to lighten it. Then fold in the remainder of the cream. 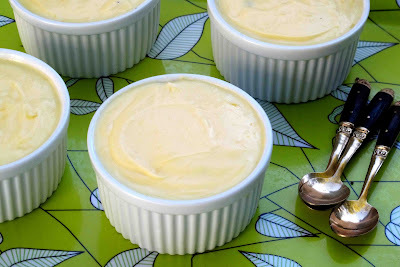 Spoon into small bowls or ramekins. Put in the freezer for about 5 hours until it has frozen. It is best served on the day it is made but will still taste good the following day. This Barker's recipe makes an almost instant dessert if you buy packets of sweet pastry shells rather than rolling your own. Great when you have to feed a crowd of people and are short of time. The mixture will fill 24 small sweet pastry shells. To make the filling for the tarts simply squeeze the contents of a sachet of Barker's Lemon and Patisserie filling into a bowl. Or to make a creamier filling combine equal parts of this filling with whipped cream or yoghurt. Fill the pastry shells with this mixture and smooth with a spatula. The soup of my childhood was a genuine Dutch Pea soup. It was so thick that you could stand a spoon up in it. It was very fillign and nourishing . Perfect after ice skating. .The main ingredients were a bacon hock and split peas and it had to simmer for hours. After that you had to pick all the meat from the bones. A messy and tedious job. 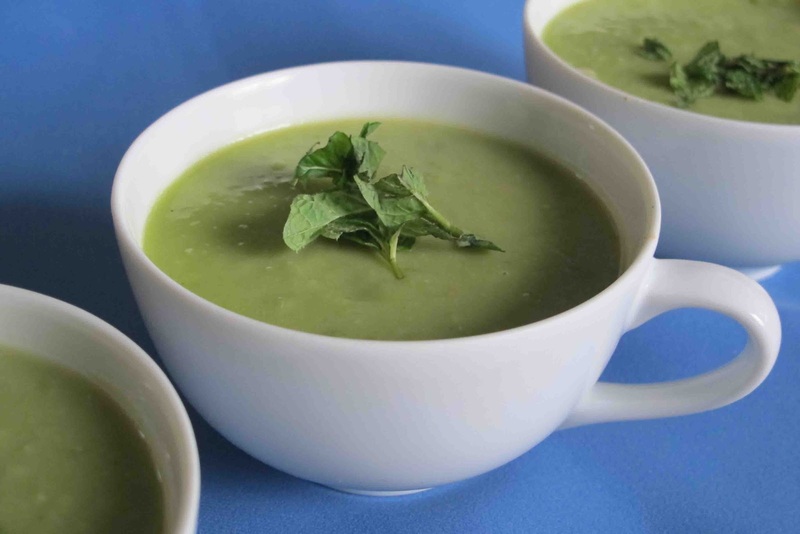 This soup is much lighter and the pea green colour is inviting.It takes only 15 minutes to cook and uses ingredients which you probably already have in your kitchen. 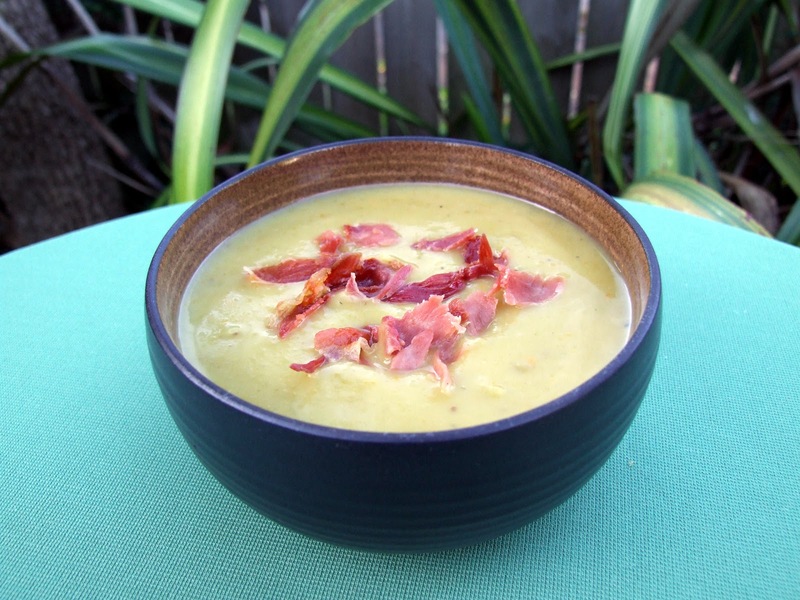 It only takes two cups of frozen peas to create three bowls of a delcious piping hot pea green soup. The recipe can easily be doubled for more. Add the garlic and chopped potato. Fry for another 2 minutes. Put this mixture and the peas into a pot with the stock. Bring to the boil and simmer for about 15 minutes until the potato is tender. Use a stick mixer to puree the soup in the pot. Optional: For added flavour and crunch add some grilled chopped bacon or croutons. You could also experiment with adding some other herbs such as thyme or rosemary as a garnish instead of the mint.